ON THE GO OC - Things to do with your family. : Winter Fest is Coming to OC Dec 18th - Jan 3rd! Winter Fest is Coming to OC Dec 18th - Jan 3rd! It's beginning to look a lot like Winter! Have you heard the exciting news, let me tell you, the Orange County Fair Grounds will be turned into a Winter Fest for everyone to enjoy! There are special events at the beginning of each day through out the evening, so guest are encouraged to come when it opens and stay until it closes. Admission starts at just $10. With that you get unlimited rides on the tubing slides (42" and taller), one carnival ride and game in the midway. Admission also grants you time with the most famous couple at Winter Fest... Mr and Mrs Claus themselves and check out what the elves have for arts and crafts. For more of a premium experience you can always add on upgrades. 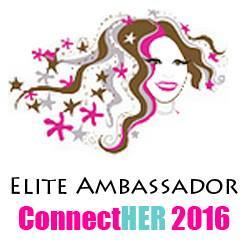 Get all the details on the full experience HERE. We are looking forward to this Holiday experience. * Indoor Ice Rink - I can not wait to try this with my daughter. 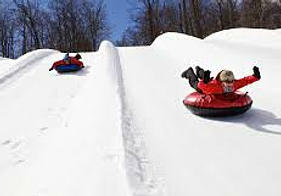 * Snow Tubing - Always a family favorite and something I did when I was a kid with my family, passing this along to the kids is a must! * Reindeer Viewing and Feeding - We watch the Reindeer all year long and now it's time to see one up close! * Worlds Largest Ornament - Can't wait to take a picture at this perfect spot. We love to keep traditions going and create new ones to pass along. Orange County has not had a huge winter celebration that locals can enjoy with so many things to do for all ages until now! 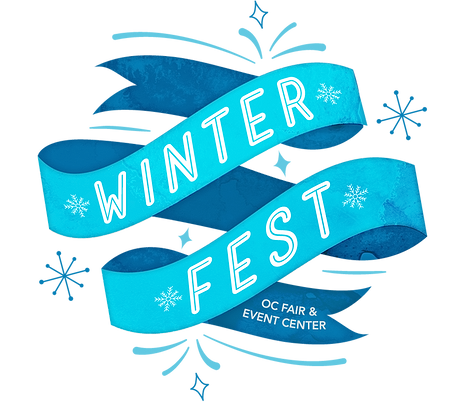 Hope to see you all at Winter Fest OC! Stay Connected with Winter Fest on Social Media - FACEBOOK - TWITTER - INSTAGRAM .